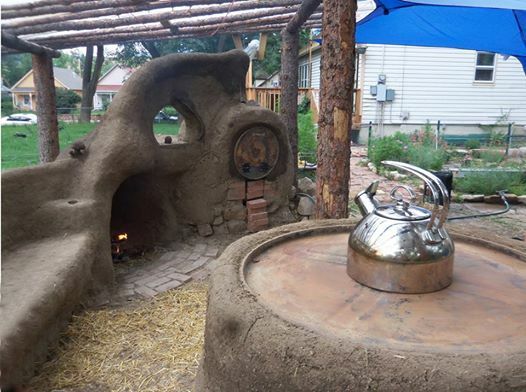 Colorado Cob Company provides an array of natural building services, including consultation, educational workshops, work parties to help your own project leap forward, and custom projects built for you at your home or community space. Our mission is to spread an awareness of natural building methods, primarily by creating or finding opportunities for folks to get their hands and feet dirty and acquire hands-on experience. 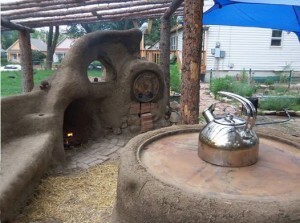 We offer consultation services for those wishing to embark on a natural building adventure. Whether you need a site assessment or some help navigating the sea of building codes and permits, we can provide you with a compass. Niko joined his first framing crew at the age of fifteen in Jackson Hole, Wyoming, and spent many of the following years involved in one building trade or another. His first “natural building” project was an attempt at building a miniature castle from the rocks in the front yard at seven years old. Little castles gave way to countless hours of building Lego structures, and when the time came to build “real” structures, an opportunity involving a hammer and nails fell in his lap and nearly two decades would pass before his feet landed firmly and joyfully in a pile of mud. Over time, the inherent waste and toxicity of conventional construction materials and methods led him to explore cleaner building alternatives. A divine collision of cosmic forces about five years ago opened the door of opportunity and he suddenly found himself covered in mud. Cob had caught hold, and he wasn’t about to let go. Now, Niko encourages others to take off their shoes, dig big holes in their backyards, and create earthen awesomeness out of the stuff of their dreams. 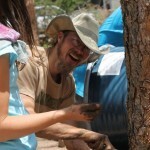 He leads workshops when and where he can, and provides consultation services for folks all around Colorado to help them move forward on natural building endeavors of their own.